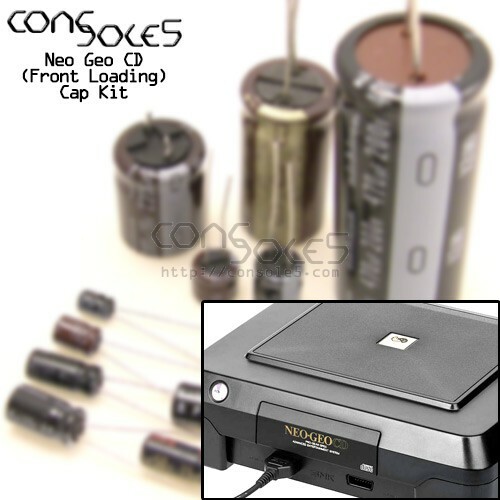 Cap kit for Neo Geo CD frontloading game consoles. This kit contains all necessary electrolytic capacitors for SNK Neo Geo CD Front Loading consoles. Please see our Wiki page for parts list and more information. Please note that the 6800uF cap provided for PCB CDROM-2 may be pre-formed to a right angle. This is to ensure clearance with the RF shielding and should be installed as provided.